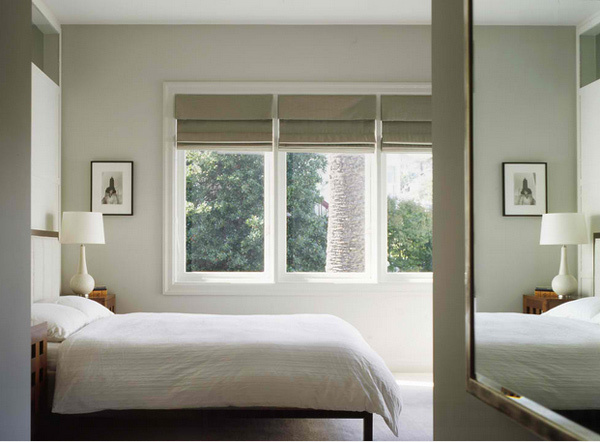 Simplicity in bedroom designs is somehow hard to determine because one space can seem simple to someone, and opposite with the other. So, for a simpler measure, we thought of creating a list about bedrooms in white which can somehow be considered simple – at least in color choices and schemes. 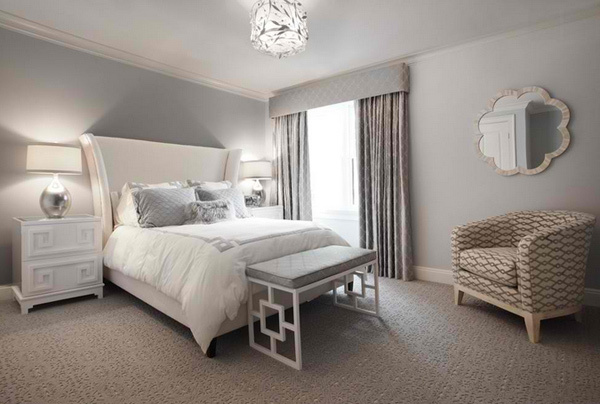 White can always be mixed and matched with every color in the color wheel, but with the bedroom designs we have gathered for this list, we are thinking you’d agree when we say that the following bedrooms are really simple. 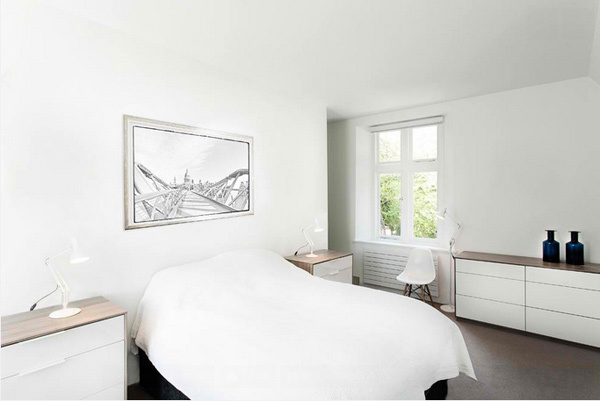 The photos you are about to see are bedroom designs we deem simple – in terms of design. Some you may say may not have been that full of effort since the designers chose to pick one color that can practically match anything you pair it with; but note that the 15 Simple Bedrooms with White Beds that you will be seeing today will capture your attention – whether you deny it or not. Have fun! Sometimes sticking to the basics is your best bet. 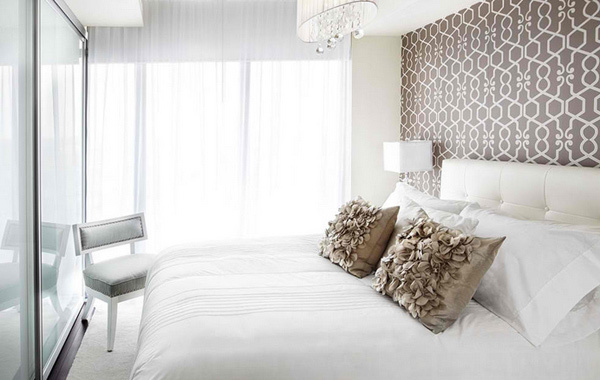 Don’t dismiss white as boring – when used right, it can make an incredible statement. Three words: concept, clarity and spatiality. 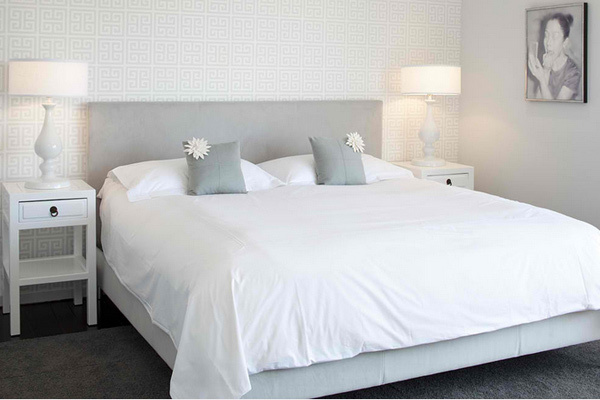 Custom Tufted Headboard: The simplicity and spacing on this headboard would work perfectly with our overall design. 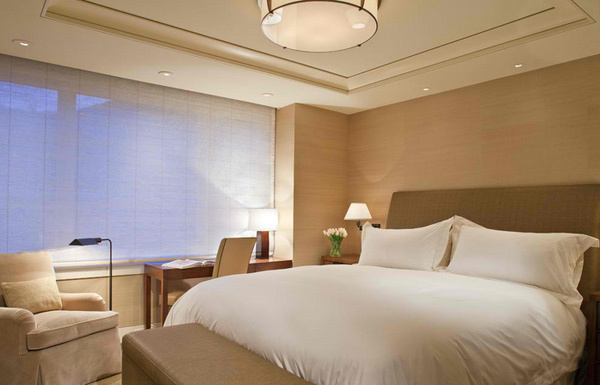 Is there any place you’d rather be than this bedroom on a Sunday morning? The all-white color scheme is so soothing, and the shag rug provides great texture and the perfect landing pad for cold morning toes. Causa Design created a warm contemporary look with the combination of clean lines, different textures and the color palate. The high polished marble floors provide an elegant back drop with rich dark and exotic woods to ground the space. Special attention was given to the architectural details such as the stacked stone wall, the contoured walls, the ceiling details, trim-less lighting, color changing lighting and the lighting control system. 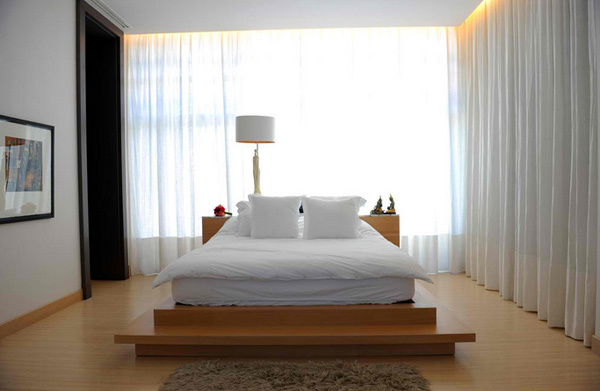 Simple indoor plants delicately decorate the bedroom while bringing in a relaxing vibe as well. We love the peace and warmth of this room. It screams comfort and this is what a bedroom should feel like, a retreat from the outside world. We love the “less is more” effect. With a huge space to work on – the designers did a great job in making this room seem informal and contemporary but still allowing it to have the fab drapes and nice furniture. This bedroom in New York has this awesome bed with a stunningly awesome headboard and fancy bench that has a pretty side table to match with. 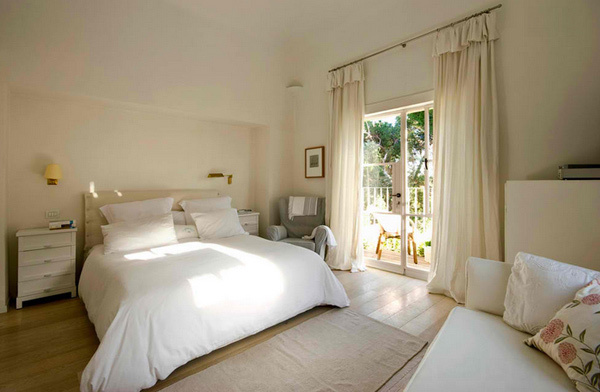 The simplicity of this bedroom makes it all the more beautiful than it already is. The simple accent colors and wallpaper print makes this bedroom a lovely place to sleep in every night. It is best to avoid unnecessary details, such as ruffles in furniture and window treatments. Use simple paneled draperies or shades. Tapestries can be contemporary, like this eclectic and artsy piece. It makes a great focal point in this clean white space. These sleek slate-toned shades provide the needed balance between light and dark in this gentle and beautifully simple bedroom. The slightly darker shade adds dimension without drawing attention to the shades themselves. 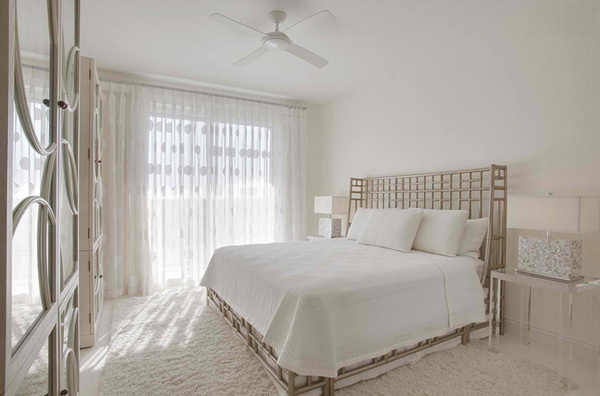 Turning the idea of window treatments on its head, these walls of sheers seem to hang directly from the ceiling. In a contemporary space, minimizing the complexity of hanging systems and focusing primarily on the structure of the treatments cleans up the lines. Pure vertical movement and softness create a cocoon-like environment. Display a piece with impact. If you are lucky enough to have a least one great piece of art, your work is done. Keep other fabric and furnishings low key to prevent your eye-catching piece from fighting for attention. One of our authors here in Home Design Lover created this lovely list on 20 White Wardrobe Cabinets for the Bedroom which will all look great in the bedrooms above that we have just presented to you. The 15 Simple Bedrooms with White Beds are great for starting homes or for homes that you actually plan on staying for a long time. The scheme is simple, clean and pure. There may be a downside on using white for everything, but they’re gorgeous! Don’t you agree?